Advance Esthetic is dedicated to providing you with the finest spa and salon equipment to tailor a wide variety of your needs. 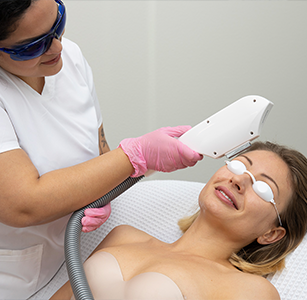 We carry an extended selection of professional beauty equipment including dermabrasion machines, skin scrubbers, radio frequency machines, microcurrent units, multifunction machines, laser technologies, IPL units, and so much more. Our products are of the highest quality, best technology, and newest designs. In choosing us, you will receive our highest level of service and help, coupled with affordable prices to ensure you are not only satisfied but happy. With over ten years of experience in cosmetology, our professionals have grown to master the beauty industry and how to effectively and actively help you make the best decisions for your specific needs. Our team is made up of estheticians, so we know exactly how the technologies we sell work and how you can best use them to grow your business and attract more clients. Because we are experienced with every kind of treatment in the modern-day beauty industry, we know what works and what doesn’t. And we aim to help you succeed in your cosmetology endeavors, so we provide lifetime clientele support and training (whether it be in our Miami showroom or through phone/video support) for all the machines we sell. We believe our company stands out from others because we work with you constantly to make sure you use the equipment you buy to its full potential safely, effectively, and smoothly. After you buy equipment from us, we will always be available to guide you in any way possible and answer any questions you have-- even years later! Before we ship out equipment, each of our products are carefully inspected, tested, and secured to make sure you get your items just as promised. And if there is ever any issue, we are more than happy to fix it. Our selection is of the highest quality and not composed of cheap products with short lifespans and sustainability. Advance Esthetic carefully searches among hundreds of manufacturers to adopt only the most reliable innovative machines to maximize our clients’ success. Furthermore, being a direct importer allows us to set the most competitive prices on the market for the finest products. 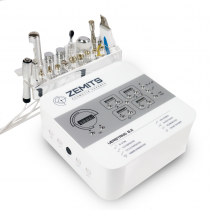 Advance Esthetic’s very own brand, Zemits, is a testament to our dedication and reliability in not only selling high end products, but designing them. 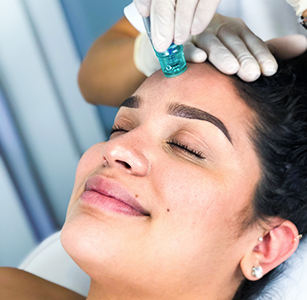 Zemits, along with the many other brands name we carry, offer a multitude of treatments desired by a large client base for any cosmetic business. Our products are warranted and continuously tested to ensure patients get the strongest, best results from any procedure. From microdermabrasion to vacuum slimming, every treatment our machines provide are safe and great alternatives to surgical, time consuming, and risky procedures. As an esthetician, working with us will boost your business not only by expanding the multitude of treatments you can offer, but by having us as your partner-- ready to help you with any concerns or requests for recommendations with equipment. You will be much more comfortable providing treatments to new and old clients just by knowing we are one phone call away from giving you infinite tips and help! Our dedication in the beauty industry lies in our constant goal to change the face of cosmetic offices around the world-- to make professionals more patient-friendly, educated, and trustworthy with the best equipment available. 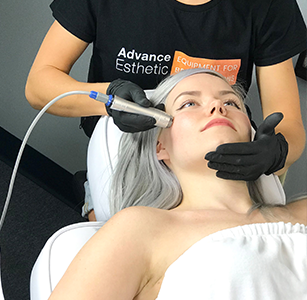 Professionals at Advance Esthetic are constantly looking out for new technologies and methods for attaining desired beauty results, all to make sure we bring you the best systems out there. We pride ourselves on selling only the most modern, attractive, effective, and safest machines-- a combination not all machines on the beauty market can possess. Often times, machines lack one or more of the above qualities, which is a huge negative for your business and patient satisfaction. As a result, we ensure technology combines with safety and strength to bring you the best possible results with the easiest-to-use interfaces in any machines we sell. Many of our machines are also equipped with beautiful, user-friendly screens that have self-timers, guides, and many other features to make procedures much more comfortable for both estheticians and patients. We operate with the promise that every equipment and treatment we provide will not let you down. To maintain this promise to you, many of our products have year long warranties and our own Zemits brand products have 2 year warranties! Financing is super easy with us too, and a great option for newer businesses who cannot pay for equipment in full. Luckily, we offer a range of options in every aspect of working with us, just to make sure you are comfortable and confident with your purchases. Many of our treatments also allow you to make your money back with just a few clients, proving to return your investment and bring you great profit almost immediately. Often times, a business relationship is voided the moment a product is purchased or sold. However, Advance Esthetic is in this industry because we are about how treatments are performed and used, so our relationship with you is lifelong. We strive to make sure anything we sell to you is used properly and to its best use, so we will help you unconditionally. That is one quality you cannot find in any other company, which is what makes us so special. Give your patients they confidence they yearn for today: work with us and build a strong client-base with incredible levels of satisfaction.